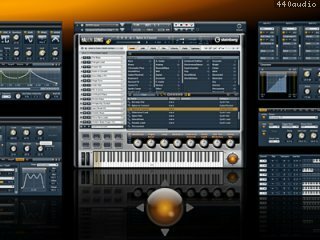 HALion Sonic is Steinberg's premier VST workstation that breaks new ground in terms of performance, versatility and ease of use. Over a thousand instrument sounds created by top sound experts at Yamaha and Steinberg offer a staggering array of first class synths, hybrid and acoustic instruments, covering almost any conceivable style. HALion Sonic is the long-anticipated successor to the highly acclaimed Hypersonic 2 workstation, and allows you to work more productively than ever before. Exclusive and comprehensive world-class content, an intuitive interface for seamless handling and the sheer endless possibilities of creating entirely new landscapes deliver truly unlimited sonic dimensions. Issue with opening and loading HALion Sonic projects in Cubase 7.0.0 resolved. 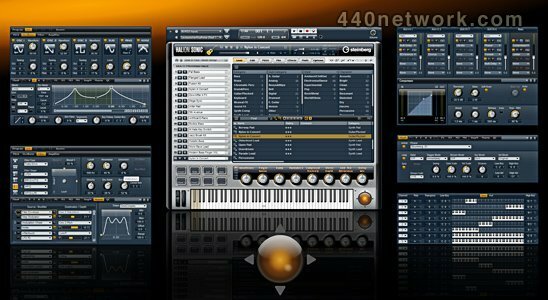 Steinberg today releases version 1.5 of its premier VST workstation, HALion Sonic. With 64-bit support on Mac platforms, an extensive set of brass and reed programs, General MIDI implementation, brilliant new effects and an optimized performance, Steinberg's flagship workstation is now even more powerful. The native 64-bit support under Mac OS X dramatically increases the addressable amount of memory, enabling even more programs and sounds to be loaded at once. With version 1.5, HALion Sonic's world-class library has been expanded with 1.2 GB of exceptionally sounding brass and reed programs. The update also adds four new distortion modes to the filter type section and comes with 28 legacy effects taken from HALion 3, along with a refined distortion insert effect. The overall improved performance and Note Expression support round out the new feature set in the 1.5 version.